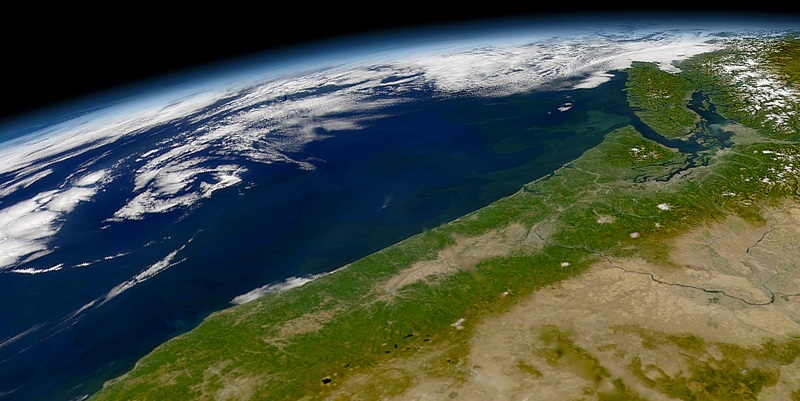 Recent press and social media coverage have reminded residents of the Pacific Northwest that they live in a seismically active region. Stretching offshore from northern California to British Columbia, the Cascadia subduction zone could slip at any time, causing a powerful earthquake and triggering a tsunami that would impact communities along the coast. Scientists from multiple disciplines at the University of Washington and other institutions are learning more about this hazard. 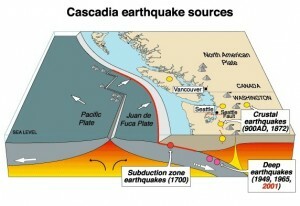 Dozens of UW scientists are part of the M9 Project, a research endeavor funded by the National Science Foundation to study the Cascadia subduction zone and communicate information about potential hazards to government officials and the public. Key goals of the M9 Project include mathematical modeling of tsunami waves, which tries to predict where and how an earthquake-triggered wave will affect the coast. Two University of Washington scientists — applied mathematics professor Randy LeVeque and affiliate professor of Earth and space sciences Frank Gonzalez — recently talked about how they model tsunami hazards along the Northwest coast. How did you become involved in the field of tsunami modeling? Randy LeVeque: In 2003 or 2004, my former doctoral student Dave George started applying Clawpack — a software we developed here to model wave propagation — for tsunamis just before the Indian Ocean tsunami happened. I started working with Frank Gonzalez, who at the time was the director of NOAA’s Center for Tsunami Research here in Seattle. Frank had all of these contacts in the tsunami community and the hazard community because he had already been working on this for 30 years. How do you model tsunami danger on a stretch of coastline? LeVeque: We use GeoClaw, the tools we adapted from Clawpack to be used specifically for geophysical modeling. We originally geared GeoClaw for tsunamis, but it’s also been used for storm surge modeling and there’s a version now for landslides and debris flows. What information do you put into your models? LeVeque: The software is set up so you can easily put in a new region just by having a fine-scale topographic digital elevation model for that particular region. The U.S. is pretty good about doing fine-scale mapping down to a resolution of about 33 feet along the coast. We also need some representation of what the earthquake will be and how the seafloor is moving, because the motion of the seafloor is what’s driving the tsunami. Have recent earthquakes and tsunamis helped improve your models? Frank Gonzalez: Very much so. For example, after the 2011 Tohoku earthquake and tsunami in Japan, geologists and seismologists learned that splay faulting may be more common than was believed before. Gonzalez: Ordinarily in an earthquake, there’s a lot of slippage far below the ocean floor and it simply raises up the ocean bottom. But in the case of Tohoku, the rupture extended all the way up to the ocean floor — these are splay faults, which are angled to the main fault, and where the seafloor itself can rupture. And it’s believed that that’s a very efficient mechanism for generating large tsunamis. We’re now including splay faulting as an option for models. What areas along the Washington coast have you modeled? LeVeque: Pretty much up and down the coast. We did some modeling of La Push and Neah Bay to develop tsunami inundation maps, for example. 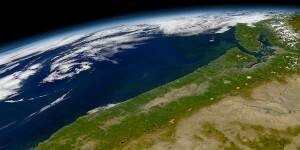 We’re just now starting models for some communities in the Strait of Juan de Fuca — like Port Townsend and Port Angeles. What would you like to improve or change about your approach to tsunami modeling? LeVeque: Well, they’re based on particular models of possible earthquakes, but we could always get one that’s different or even worse. So, we’re also looking at doing probabilistic hazard assessments of the coast. That’s where we don’t just look at the worst case. We look at many scenarios. Gonzalez: That approach gets us results to say that one area has a much higher probability of flooding than another area. Eventually I think emergency managers will want those kinds of maps. It provides a more sophisticated view of the hazard. Not just worst-case, but what the probability is of each scenario and if there is a more likely case we should prepare for instead. LeVeque: That’s useful information to know if you’re deciding where to put a hospital or road. 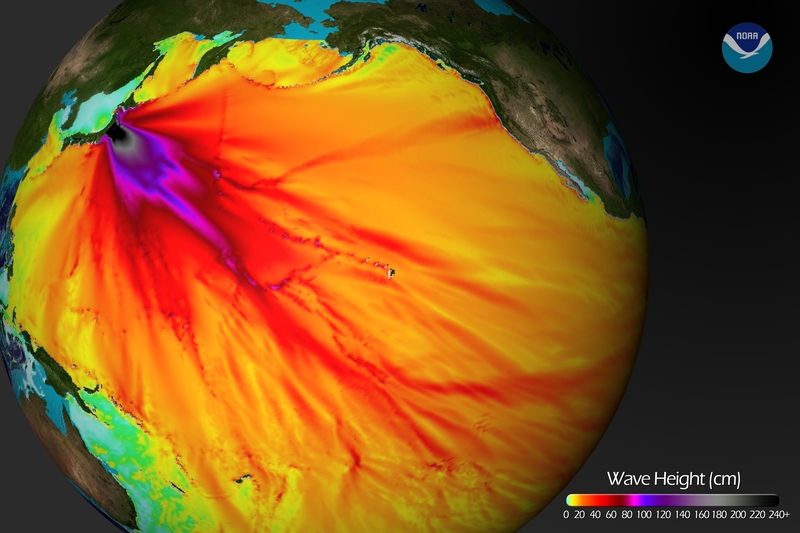 What do you think the public most misunderstands about tsunami modeling? LeVeque: Most people probably don’t understand how little is known about what the next earthquake might look like — all the sources of uncertainty that you have to deal with to come up with any model of what a tsunami will do. That’s why one big goal of the M9 Project is to develop better probabilistic techniques for both tsunamis and earthquakes, and to figure out how to communicate those probabilities to the public and emergency managers. Gonzalez: There is a big educational effort that is ongoing. Randy and I go to community meetings and handle questions on the science of tsunami risks and give short presentations. You have to be really, really careful and specific in sending a message to the public. What do you like best about your work on tsunami modeling? LeVeque: It’s a discovery topic, with people learning things all the time. That makes it interesting. Gonzalez: What’s really fun about this is you’re on the cutting edge, and you’re collaborating outside of your field. It’s very interdisciplinary. You’re talking to geophysicists, civil engineers, emergency managers. So there’s a lot of variety, and you’re developing projects that are meaningful — they’ll save lives and property. For more information, contact LeVeque at 206-685-3237 or rjl@amath.washington.edu, and Gonzalez at 206-290-0903 or figonzal@uw.edu.